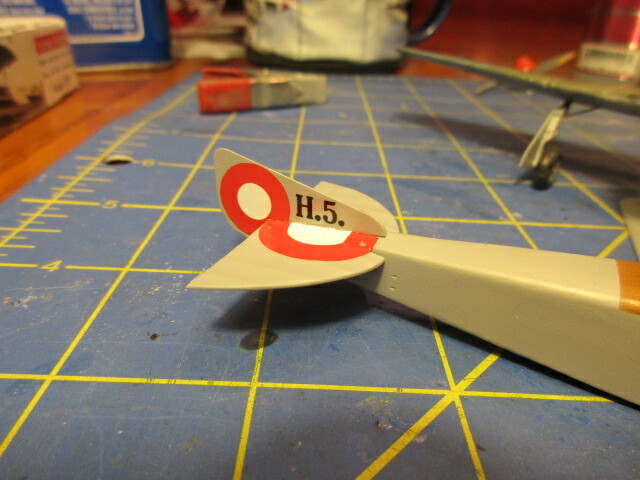 I added the tails and gave them a shot of light grey and then added the tail decals. These Danish planes were cool in where they put their markings. The decals worked great and ended up snuggling nicely with some setting solution. They slid on easily, didn't tear and were easy to move around too. Lovely. Put them on the bottom wings as well. 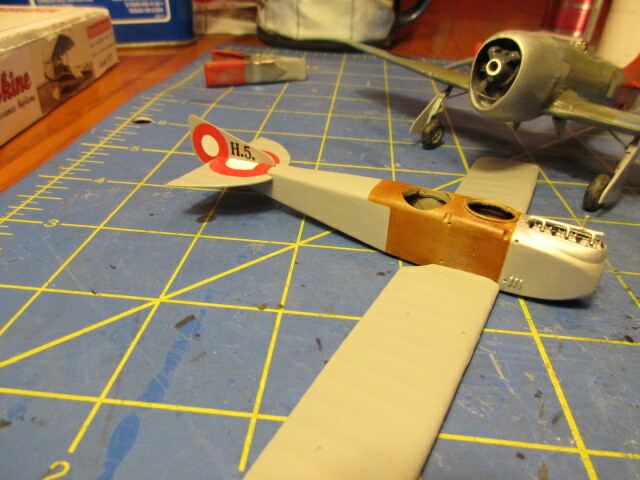 Now I'll paint up the top wing and start rib taping. You are making excellent progress with tis Dan. That is turning inot both an interesting and colourful model. Looking forward to seeing the top wing on. Looking superb Dan! The markings really make this one pop!